This season will be bittersweet for our symphony. As we've said goodbye to our Maestro Brian Groner, we now begin the search for our new music director. Brian left behind an amazing legacy, and we are faced with the challenge of finding another great leader to bring us forward. After a long and through search, we've narrowed the field to four finalists, and I can't wait for you to meet them. They are all skilled conductors, dedicated educators, and passionate community advocates. Each will share both new music and classics on their concert. Each will work with a soloist and get to know our orchestra both on and off stage. More importantly, we want YOU to get to know them. We will have times during their week in Appleton for you to see them in both formal and informal settings, answering questions, and discussing why they are excited to come to our area and join our orchestra. Each concert week will be followed up by our team collecting your thoughts and comments. We will have comment cards and surveys at the hall for each concert, as well as emailed surveys, and website forms. Please feel free to give us your candid feedback, ask questions, and become a part of this process. I can't tell you how important this is to all of us. Let us hear from you! We are hoping the person we hire is part of our community, both on stage and off, for a very long time. Please let us know your impressions and help us make a very informed and inclusive decision. We would love for you to become a season ticket holder, and then you will receive updates from us throughout the season, letting you know about opportunities to get involved. We're grateful for the 23 years of artistry and dedication Maestro Groner contributed to this community, and we look forward to our next chapter under the baton of our new director. Please scroll down to learn more about our first conductor candidate, Howard Hsu, and join us this Saturday, October 6, at the Fox Cities Performing Arts Center for our 2018-19 Opening Night! BUY YOUR TICKETS TO OPENING NIGHT ONLINE NOW! Disney's Pixar in Concert! Enjoy scores from your favorite Disney Pixar films! A visually stunning, high-definition, multi-media family show! We start the season on October 6 with Conductor Howard Hsu. We've had a fun week with him visiting Appleton East High School, Lawrence University, 91.1 the Avenue, and getting to know our board and donors. Last night was our first rehearsal with the full group, and we continue with a strings-only rehearsal tonight. We can't wait to get in the P.A.C. hall for the first time on Friday night with special guest violinist Kelly Hall-Tompkins, friends from our season underwriters at The Boldt Company, and students from Big Brothers Big Sisters and the Boys & Girls Club. It will be a busy weekend, we we can't wait to share this music with you! 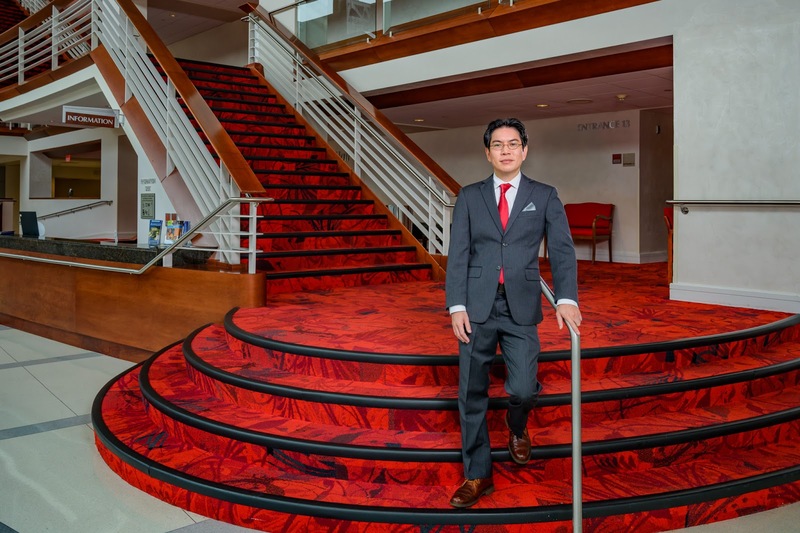 Howard Hsu is the Music Director of the Valdosta (GA) Symphony Orchestra, and serves as Assistant Professor of Music and Director of Orchestra Studies at Valdosta State University. Under his leadership, the Valdosta Symphony was selected as the 2014 winner of the American Prize in Orchestral Performance (community division). He has performed with world-renowned artists such as Robert McDuffie, Simone Dinnerstein, Jennifer Frautschi, Wendy Warner, Rachel Barton Pine, Stanford Olsen, Alexander Ghindin, Alexander Schimpf, Katia Skanavi, Awadagin Pratt, Amy Schwartz Moretti, and the Empire Brass, and has introduced live classical music to thousands of children in the Southern Georgia region. He conducted the world premiere of James Oliverio's Trumpet Concerto No. 1: World House, the U.S. premiere of Ned McGowan's Concerto for iPad and Orchestra (Rotterdam Concerto 2), and has given the Georgia premieres of Fernande Decruck's Sonata for Saxophone and Orchestra, several of the Debussy/Matthews Preludes, and Jonathan Bailey Holland's Motor City Dance Mix. Hsu has appeared as a guest conductor with the Hartford (CT) Symphony Orchestra, Macon (GA) Symphony, New Britain (CT) Symphony, and Bronx (NY) Arts Ensemble. Hsu received his D.M.A. from the University of Connecticut, his M.M. from the San Francisco Conservatory of Music and his B.S. from the Wharton School of the University of Pennsylvania. Visit www.howardhsuconductor.com for more information. The 5 Milers + FVSO = Support Your Symphony! Local folk group The 5 Milers started in 1962 with a group of friends in high school, and today they are raising money for local charities with their love of music. Rob Billings, one of the founders, remembers how it all started. "I purchased a used six dollar guitar and ask Tom and Terry, 'how do you play this thing?' We were only in our sophomore year at Neenah high school, but we were motivated." 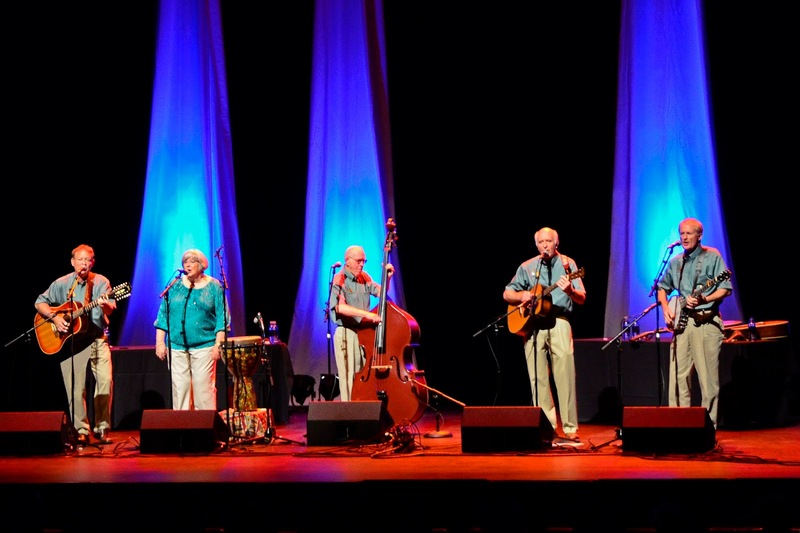 Music from the Kingston Trio, Peter, Paul and Mary, and the Weavers inspired them. Once they got the hang of it, they were hooked. Their love of music carried through the years, and even though not all of them are still living in Wisconsin, they always return home for a few concerts each year, and their fans follow them each time. They've drawn crowds in Neenah, at the Fox Cities Performing Arts Center, and other venues around the Fox Cities. "Our audiences love the folk music of the 1960s and many sing along," says Billings, "and others simply sit back and remember where they were when they first heard the music." A few years ago, they decided to put their love of music, and their growing audience, to use in helping the community. "I had the honor of performing with Door County bluegrass musician Bill Jorgenson, and he had some great advice for us." says Billings. "He encouraged the band to do annual benefits in support of causes we really believe in. He was right, and it is such a win-win situation for us! We get to play the music we love, the audience has a great time, and it all goes toward supporting charities in our own community." The 5 Milers select a new group to help each year. Past recipients include Homeless Connections, Old Glory Honor Flights, and Backpack for Kids. This year's recipient is another local musical group, the Fox Valley Symphony Orchestra. Billings approached the symphony first as a recipient, but it soon became clear the partnership could grow. "We were so honored they picked us for the benefit this year," says Jamie LaFreniere, Executive Director of the Fox Valley Symphony Orchestra. "But as we started talking, Rob had the fantastic idea of having both our groups share the stage for this special night." The concert is sponsored by gifts from J.J. Keller & Associates and Dr. Monroe Trout and Sandra Lemke. "We're looking forward to a fun night of 60s classics," says LaFreniere. "We love to partner with other groups in our community, and bring together different genres and fans of all types of music. We're just lucky to live in a community where there are so many choices!" The concert is on September 13 at the Fox Cities Performing Arts Center, and proceeds will go to the symphony. PURCHASE YOUR TICKETS HERE! "Growing up in the Fox Cities, our group had many memorable and enjoyable moments," says Billings. "It is our pleasure to try to give back to our community both in our performances and with the money raised for charity." The Fox Valley Symphony Orchestra was awarded a grant from the National Endowment for the Arts to support outreach activities associated with our upcoming concert featuring Grammy-nominated composer and trombonist Chris Brubeck. The $10,000 "Challenge America" grant will underwrite the costs for Brubeck and Fox Valley Symphony Orchestra musicians to share the music of modern American legends with veterans and audiences in rural areas, as well as support Brubeck's appearance with at the symphony's February 3 concert at the Fox Cities Performing Arts Center's Thrivent Financial Hall. Brubeck's outreach events will include an interactive workshop at the Gerold Opera House in Weyauwega focusing on performance and music composition with band students from the Weyauwega area. He'll follow that up with a lecture and performance at the Wisconsin Veterans Home at King. The FVSO's Brass Circle quintet will accompany Brubeck at both appearances. "Working with the local youth is part of our mission. Helping to provide the opportunity to be inspired and informed by Chris Brubeck and members of the symphony is very exciting," said Kathy Fehl, Artistic Director of WEGA Arts. "The effort to work with us and other places in the area is wonderful; encouraging kids to consider a life in the arts is very important." Brubeck said he hopes that he can contribute to the creative spirit in the young music students. "We still live in a society where a creative thinker, player, visual artist, dancer, film maker, author or singer can still have a significant impact. If I can connect with, encourage and inspire one young person to pursue their dreams then I feel that the mission was accomplished," said Brubeck. "The Arts are a reminder of our wonderful human potential." Brubeck's performance at the Veteran's Home at King inspired some memories of his father, jazz musician and composer, Dave Brubeck. "Through the years, my Dad told me many stories about his going into hospitals and playing music for Veterans which seemed to connect with them in a special way," said Chris Brubeck. "If the Vets can't come to a concert, I am happy to go to see them and reach out through music." On February 3, Brubeck will be featured as the guest artist for the symphony's "Modern American Legends" concert. He will also participate in a discussion with FVSO's Sandra Lemke & Monroe Trout Music Director Brian Groner before the concert in the Fox Cities Performing Arts Center's Kimberly-Clark Theater. The NEA Challenge America grant program offers support for projects that extend the reach of the arts to those whose opportunities to experience the arts are limited by geography, ethnicity, economics, or disability. Grammy-nominated composer Chris Brubeck continues to distinguish himself as a multi-faceted performer and creative force. An award-winning writer, he is clearly tuned into the pulse of contemporary music. The respected music critic for The Chicago Tribune, John von Rhein calls Chris: "a composer with a real flair for lyrical melody--a 21st Century Lenny Bernstein." 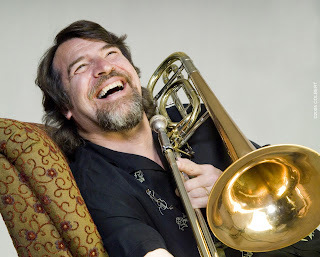 Chris has created an impressive body of symphonic work while maintaining a demanding touring and recording schedule with his two groups: the Brubeck Brothers Quartet (with brother Dan on drums), and Triple Play, an acoustic trio featuring Chris on piano, bass and trombone along with guitarist Joel Brown and harmonica player extraordinaire Peter Madcat Ruth. 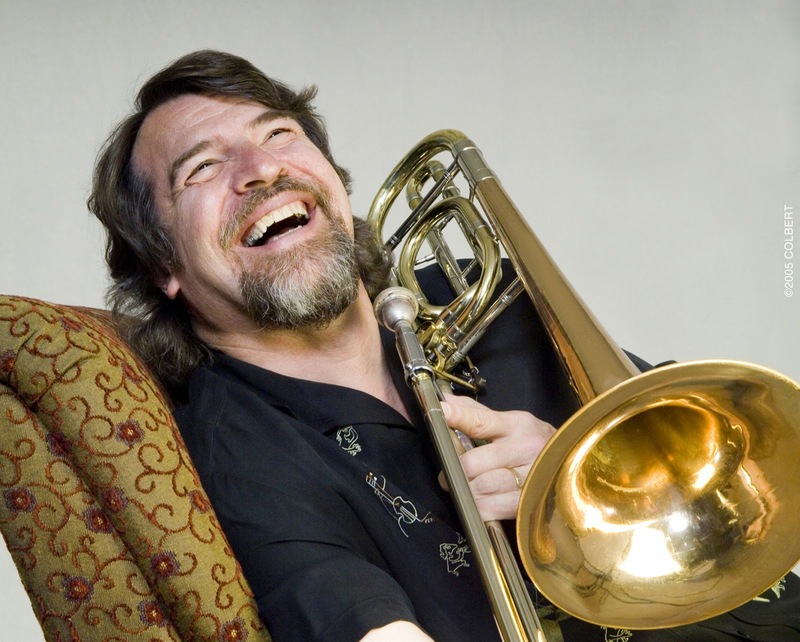 Additionally, Chris performs as a soloist playing his trombone concertos with orchestras and has served as Artist in Residence with orchestras and colleges in America, coaching, lecturing, and performing with students and faculty. Chris is a much sought-after composer, and has been commissioned to write many innovative works. Current projects include a concerto for the Canadian Brass Quintet to be premiered with the Lexington Philharmonic in November 2017. As Composer in Residence with the New Haven Symphony, Chris premiered Time Changes for Jazz Combo and Orchestra. He had two new commissions premiere in 2016: "Fanfare for a Remarkable Friend" and "Sphere of Influence". His "Affinity: Concerto for Guitar & Orchestra" was written for celebrated guitarist Sharon Isbin, and premiered in April, 2015. To commemorate the 70th anniversary of the Allied Liberation of France in June, 2014, Chris and French composer Guillaume Saint-James wrote Brothers in Arts: 70 Years of Liberty, which premiered to much acclaim in Rennes, France. Chris's long list of commissions are varied and range from a Russian-American cooperative project commissioned by the Hermitage Museum and the National Gallery ("The Hermitage Cats Save the Day"), to the Kennedy Center for the National Symphony Orchestra; to concertos written for violinist Nick Kendall; the exciting trio Time for Three, a song cycle for Frederica von Stade ("River of Song") as well as many chamber and orchestral pieces commissioned by the Concord Chamber Music Society, the Muir String Quartet, 3 commissions from The Boston Pops, and multiple commissions from consortiums including The Boston Pops, Baltimore Symphony, Colorado Music Festival in Boulder, Indianapolis Symphony, Portland Symphony, Oakland East Bay Symphony, and many others. His highly acclaimed Concerto for Bass Trombone and Orchestra, has been played by many of the top bass trombonists in the world and was recorded with Chris as soloist with the London Symphony Orchestra. It can be heard on the Koch International Classics recording "Bach to Brubeck". He also wrote a second trombone concerto, The Prague Concerto which he premiered and recorded with the Czech National Symphony Orchestra on the Koch cd, "Convergence". Reviewing that disc, Fanfare Magazine wrote "Brubeck's skill both as composer and soloist is extraordinary." April, 2009 saw the premiere of "Ansel Adams: America", an exciting orchestral piece written by Chris and Dave Brubeck. It was commissioned by a consortium of eight orchestras and is accompanied by 100 of Ansel Adams' majestic images projected above the orchestra. In 2013, "Ansel Adams: America" was nominated for a Grammy for Best Instrumental Composition. February 3 at 6:40 pm: Pre-show lecture in the Kimberly-Clark Theatre at the Fox Cities Performing Arts Center. 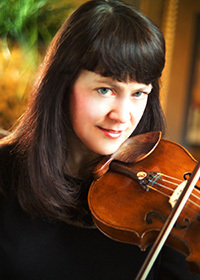 February 3 at 7:30 pm: Concert with the Fox Valley Symphony in Thrivent Hall at the Fox Cities Performing Arts Center. AMAZING NEWS! We finally have our new Youth Orchestra conductor! 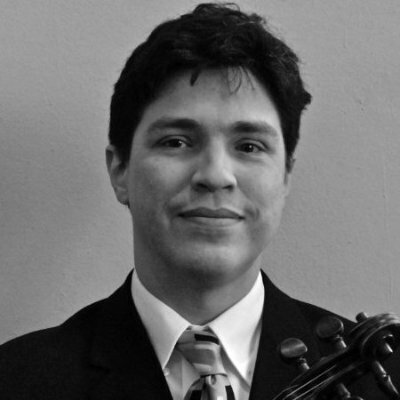 Mr. Andres Moran is the director of the University of Wisconsin-Stevens Point Symphony Orchestra and a horn teacher. 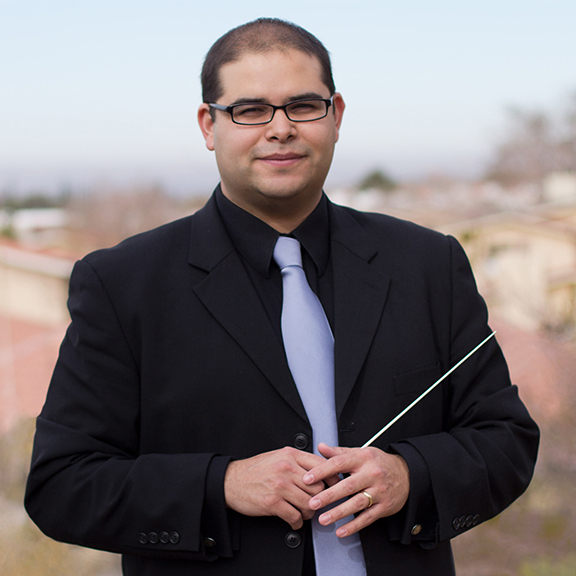 He was a resident conductor of the El Paso Symphony and also music director of the El Paso Symphony Youth Orchestras. 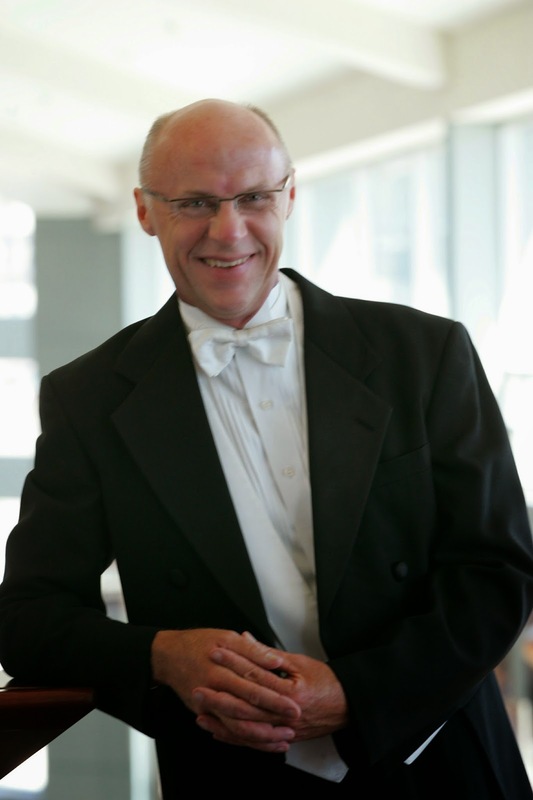 Mr. Moran has a Doctorate of Music from Indiana University and a Bachelor of Music from New Mexico State University. Our coaching team and hiring committee met with Mr. Moran several times before making our decision and we are all excited about having him join our team next season. He brings with him a great passion for music education, wonderful ideas about engaging our community, and impressive technical skills on the podium. "I'm very excited to be joining the Fox Valley Youth Symphony team!" says Mr. Moran. "Throughout the hiring process, I was impressed with the level of commitment and passion that the staff and board have for this program. I can't wait to start working with our young musicians in the fall, and I look forward to getting to know more members of the Fox Valley community through our performances." Please join me in welcoming Mr. Moran to the Youth Orchestra! When the folks at New York's 92nd Street Y got together five years ago to find a way to celebrate and encourage generosity, they had no idea their project would one day be embraced by over 40,000 organizations worldwide. They couldn't have predicted that over $116 million would be raised through social media, and they had to be shocked that their #GivingTuesday would become an international movement - a national holiday of sharing. 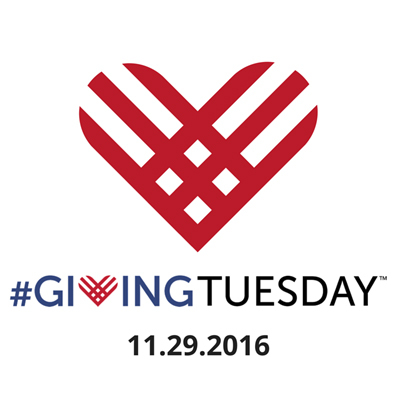 Those of us at the Fox Valley Symphony Orchestra take this opportunity on #GivingTuesday to thank our donors, audience members, volunteers and sponsors for their generosity every day of the year. Thank you for sharing your time, your resources, your attention, and your efforts with us. Thank you for understanding that our mission of nurturing symphonic music within our community is fulfilled because of your gifts. Thank you on this #GivingTuesday. Students across Appleton have been diving deep into the music of our upcoming concert. Big Arts in the Little Apple is a community collaboration coordinated in partnership with The Building for Kids Children's Museum and the Appleton Area School District to give students the opportunity to explore the intersection of music and the visual arts. As part of the program, elementary students at 17 schools learned about and listened to this autobiographical tone poem by Richard Strauss, and then took that inspiration to their visual arts classrooms to create art in response. Over 600 of these students submitted their work for consideration and the top 50 to be featured at the Saturday, November 19thconcert when the symphony performs this epic piece. Don't miss this opportunity to see the creativity of our local students and experience Ein Heldenleben in person with your Fox Valley Symphony Orchestra on Saturday, November 19th. Buy your tickets online today. "I should like to write a violin concerto for you next winter. One in E minor runs in my head, the beginning of which gives me no peace." Felix Mendelssohn's 'earworm', as described in a letter from July 1838 to his good friend, violinist Ferdinand David, would become one of the most beloved and instantly recognizable melodies in the violin concerto literature. Travel now further back in time to Berlin, 1825: 15 year old violin prodigy Ferdinand David, after two years of study with the renowned violinist and composer Louis Spohr, is on his first concert tour. There he encounters the equally precocious pianist and composer, 16 year old Felix Mendelssohn, who had that very year completed his Octet for strings, a masterwork of such assurance and maturity that even Mozart himself had not achieved at that age. Both boys hailed from Hamburg, where their families were acquainted with each other- Ferdinand was even born in the very house where Felix had been born the previous year. Their meeting in Berlin resulted in a fast friendship- a year later, when the Mendelssohns had settled in Berlin, Felix wrote to Ferdinand that "it is of the utmost importance for your future career that you should soon come to Berlin...Would to God that I might soon have the pleasure of seeing you settled here, for I am convinced that nothing could be better for you than life and work in Berlin". After first securing a job in a Berlin theater orchestra, David took the advice to heart. Ferdinand was thereafter often a guest in the Mendelssohn home, where the two would play string quartets together(Felix on viola) with David's orchestra colleagues. When Mendelssohn was appointed director of the Gewandhaus Orchestra in Leipzig(still going strong to this day! ), he invited David to be his concertmaster; they worked hand in hand to produce one of the finest ensembles of the day. He similarly appointed his friend as violin professor when he founded the Leipzig Conservatory in 1843(David would become one of the most important teachers of the 19th century- his greatest student, Joseph Joachim, would go on to collaborate with Johannes Brahms in producing his violin concerto). Both men shared a seriousness of mind and reverence for music of the past (Mendelssohn gave the first 19th century performance of Bach's St. Matthew Passion, and David produced the first performing edition of Bach's Sonatas and Partitas for solo violin, and was the first to publicly perform Bach's Chaconne) that contrasted with the dazzling pyrotechnics of flamboyant virtuosos in the mold of Paganini, which Mendelssohn dismissed as "juggler's tricks". David's love of music of the Baroque is still with us today- many of the sonatas that he selected for his "High School of Violin Playing" comprise much of the later volumes of the Suzuki Violin School, in versions scarcely altered from David's originals and performed by violin students worldwide. September 28, 2016 at the Fox Cities P.A.C. Other commitments prevented Mendelssohn from finally working out his E minor earworm until 1844. Felix relied on his colleague not only for technical advice on the solo part(David was in large part responsible for the great cadenza at the heart of the first movement which was among the first to be written out instead of improvised by the soloist) but even details of the orchestration. In their correspondence, Mendelssohn is eager to please his friend and even self-deprecating; in a letter fired off before the manuscript went to the publishers he requests some last minute alterations and exclaims "Thank God the fellow is through with his concerto! you will say. Excuse my bothering you, but what can I do?" The long gestation and close collaboration paid off; the premiere in March 1845 was a tremendous success, though sadly Mendelssohn was ill and unable to conduct. When further ill health tragically ended Mendelssohn's life two years later at the age of 38, Ferdinand David was among the small circle of family and friends who attended his bedside. David continued to champion his friend's concerto and taught it to his pupils. Through his advocacy Mendelssohn's masterpiece quickly took its place of honor as one of the greatest works for the violin. We in the present day still respond to the concerto's blend of passionate lyricism, intimacy, and puckish high spirits. The musicians of the Fox Valley Symphony look forward to accompanying the great Itzhak Perlman in this masterpiece born out of friendship! We are so excited to have the opportunity to perform great music with incredible guest artists throughout our 50th Anniversary season, but above that excitement is our sincere hope that this music can inspire our audiences. For this milestone season, we decided to see if our music could inspire our local visual artists as well. Several artists have been commissioned to utilize the music of one of our season concerts to inspire the creation of a piece of art. These original artworks will be reproduced in a limited, numbered, and signed poster series commemorating out 50thAnniversary Season. We are lucky to have such talented artists working on capturing this exciting season. Our first featured visual artist is Cristian Andersson. Cristian has spent countless hours creating a beautiful oil painting inspired by the music of Itzhak Perlman to commemorate our Opening Night. Other artists include Emily Reetz, Stephanie Harvey, and Lee Mothes. Don't miss this opportunity to own a piece of this historic season. Individual posters will be available for purchase at each concert. However, right now through our SOLD OUT opening night performance with Itzhak Perlman, you have the opportunity to pre-order your set of posters and ensure uniform numbering from all five concerts. Click here to orderyour set today! The Fox Valley Symphony Orchestra (FVSO) kicked off our Senior Outreach Series on Monday, August 22nd at 3:30pm with an outdoor Brass Quintet performance at the campus of the Rennes Health and Rehab (325 E Florida Avenue, Appleton). "Rennes is overjoyed to be a part of the Senior Series with the Fox Valley Symphony. Music is a large part of most of our residents' lives but concert accessibly is a challenge that we face frequently. Being able to bring this type of performance to them fills our hearts with happiness and theirs with joy," said Danielle Mosher, Director of Admissions from Rennes Health and Rehab. This series of small group concerts presented in partnership with local senior living communities seeks to expand the reach and accessibility of our Fox Valley Symphony Orchestra musicians. In addition to reaching the residents of the senior communities hosting the concerts, all of the concerts are free and open to the public. Wind Quartet at Oak Park Place (2205 Midway Road, Menasha) on October 6th, 2016 at 6pm. RSVP to 920.702.0000. Strings & Wind Holiday Tea at Carolina Assisted Living (3201 W. 1st Avenue Appleton) on December 1st, 2016 at 7pm. RSVP to 920.738.0118. String Quartet in the Garden at Valley VNA (1535 Lyon Drive, Neenah) on June 13th, 2017 at 6pm with a reception to follow. RSVP to 920.727.5544. "The power of music is undeniable, especially for aging adults. That is why we are so excited for this Senior Outreach Series where we can reach those who might no longer be able to attend our full concerts," said Jamie LaFreniere, Executive Director for the Fox Valley Symphony. This series is made possible through the partnership of our host locations as well as the series sponsor, Home Instead Senior Care. "Home Instead is committed to helping seniors stay engaged and active. We are so excited to partner with the FVSO and hosting senior communities to bring the Senior Series to the Fox Valley," said Cheryl Smith, Appleton Branch Manager for Home Instead Senior Care. 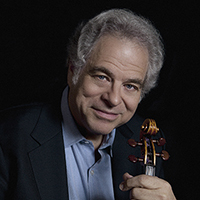 Center with special guest artist Itzhak Perlman. 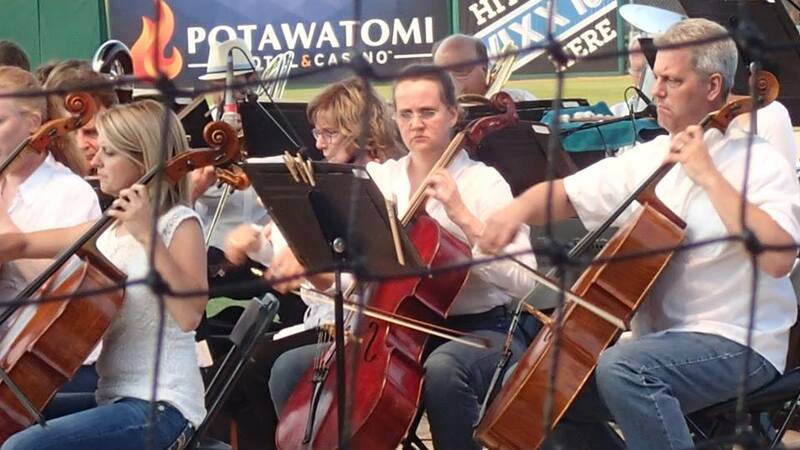 Beethoven returns to the ballpark on Friday, July 1. 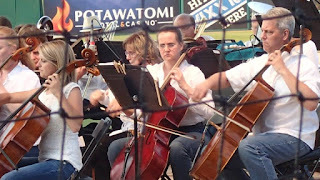 The Fox Valley Symphony Orchestra will hold their second annual Brats, Beer, & Beethoven event at Neuroscience Group Field at Fox Cities Stadium on Friday, July 1 at 7:30pm. The event, presented by Fox Communities Credit Union, is FREE and open to the public. "We can't believe we get to do this again and we can't thank the Timber Rattlers enough for our partnership! This concert is the perfect way for us to start our 50th season," said Jamie Lafreniere, Executive Director of the Fox Valley Symphony Orchestra. "We get to celebrate a beautiful night of music with our musicians and the community in this amazing outdoor space. With the support of our sponsors, Fox Communities Credit Union, Neuroscience Group, CommunityFoundation for the Fox Valley Region, and Tundraland, this is a free event and we hope it makes it possible for everyone to attend, enjoy the music, and even see fireworks at the end of the night. We're also proud to bring the MacDowell Male Chorus and Fox Valleyaires to the concert this year; the more music the better!" Parking and admission to the event are free. The parking lot opens at 5:00pm with the gates to the stadium opening at 6:00pm. The concert is scheduled to start at 7:30pm and fireworks to follow at 9:00pm. Aaron Hahn, the Timber Rattlers vice president and assistant general manager. "It's a great way to kick off the holiday weekend and an opportunity to see an amazing group of performers for FREE!" There will also be a donation drive for musical instruments at two events at the ballpark. Donate a new or used instrument OR money to go towards the purchase of an instrument to give all children the opportunity to play a musical instrument! Donations will be accepted at the Timber Rattlers game on Sunday, June 26 when the Rattlers host the Quad Cities River Bandits at 1:05pm. Be one of the first 1,000 fans to attend this game and you will receive a Cory Chisel Bobblehead. Fans may also donate to the instrument drive at Brats, Beer & Beethoven on Friday, June 1. Donations may be tax deductible. This collection is made possible by the collaborative efforts of Fox Communities Credit Union, Wisconsin Timber Rattlers, Cory Chisel, and The Refuge. "At Fox Communities Credit Union we say "Make Life Happen", and we are excited to be a part of this event to help more people enjoy the sounds of the Fox Valley Symphony, especially kids," said Lynn Marie Hopfensperger, Community Development Officer at Fox Communities Credit Union. "Fox is happy to be able to make life happen for all of the talented artists we have in the area, we are so rich in the arts, we're proud to be a small part of this." Seating for Brats, Beer, and Beethoven is first-come-first-serve and food and beverages will be available for purchase from the concessions stands at the ballpark. When you meet a young lady like Masha Lakisova it is an amazing event. About a year and half ago a good friend of mine, violinist Michael Shelton, heard Masha play. He sent me an email saying that he had heard what he described as "the real deal". Michael is not one to speak glowingly about someone unless he truly means it. He has very keen ears and high expectations. After checking out a couple of YouTube videos of her playing I made arrangements to hear Masha at her teacher's recital. She played the Schumann Sonata, with her mother Lyudmila (a brilliant pianist). Needless to say it was stunning. After the recital I stayed around a bit to chat and found Masha and her family to be wonderful people. They are so proud of what Masha is doing. Since then we have worked together several times. Masha has won even more competitions and has been featured on NPR's "From The Top". I am thankful that my friend Michael brought this amazing young woman to my attention and am honored to be able to share her gifts with our wonderful audience. Join us this Saturday, January 23, 2016 for this special performance! 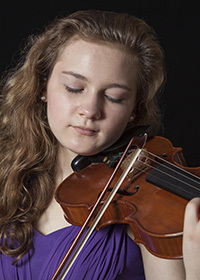 Masha will perform Tchaikovsky's Violin Concerto in D major with the Fox Valley Symphony Orchestra. We all have a soundtrack of our lives - music that reminds us of happy or sad times in our childhood, or other important life events, friends, and family. What would a wedding be without music? How comforting is the music that accompanies a funeral? With the recent celebration of Veteran's Day, I can't help but think of how many servicemen and servicewomen have had their spirits buoyed by a USO tour. Or, how many ceremonies on Wednesday contained music of a wartime period. or Alzheimer's. Music becomes exponential in its power to comfort. Our many cherished donors recognize that music is essential to our mental, emotional and physical health. In these days leading up to National Philanthropy Day on November 15, we take a moment to recognize the importance of music in our lives and those who help us keep music alive in our community. Philanthropy is defined as "a love of humanity", and those who support the Fox Valley Symphony care deeply about our community. Thank you for buying tickets to our concerts, and even inviting friends. You appreciate the value of symphonic music to our well-being. Thank you for making a cash donation to make sure the FVSO is able to serve its mission far into the future. Thank you for attending Youth Orchestra concerts. You tell the young musicians in our community that they are vital to the sustainability of symphonic music. Thank you for your tribute to our FVSO musicians through the Chair Sponsor program. Not only does it provide important funds to the Symphony, but it is a very visible way to show our musicians how important they are to the community. Thank you for including us in your planned giving arrangements. You are showing that you care about the artistic vitality of our community for future generations. We are truly grateful to all of our friends. Thank you for 49 years of support and "love of humanity". We are excited about our concert this Saturday, November 14, 2015 at the Fox Cities Performing Arts Center. Of course, we are always excited about our concerts, but this time, we are having a Concerto for Violin and Tabla. When is the last time you heard that? Exactly. 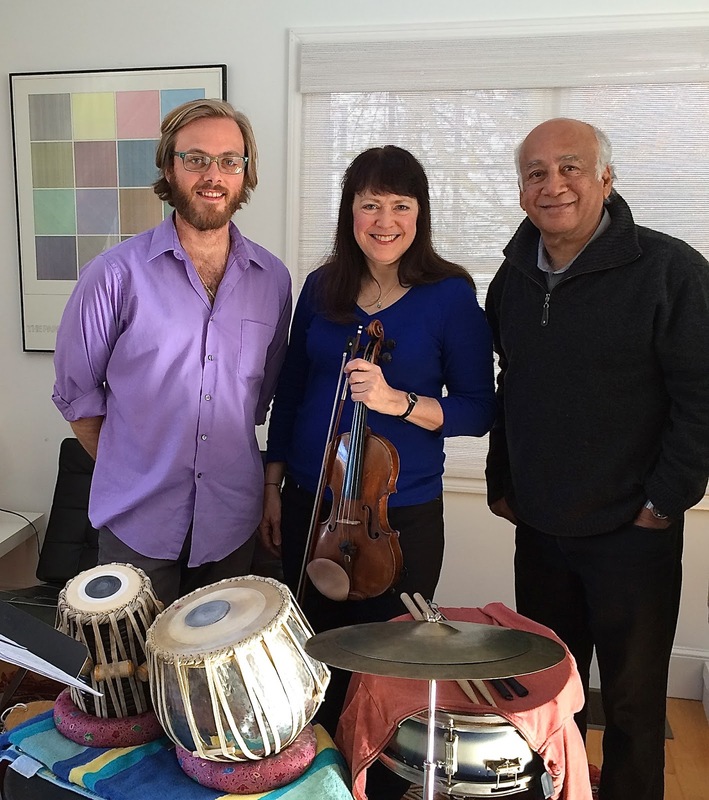 The piece is Svara-Yantra by Shirish Korde with guest artists Marcia Henry Liebenow and Zach Harmon. As an extra bit of luck, both our guest artists got to meet with the composer last week and work on the piece. Marcia was kind enough to share her experiece with us! This past weekend Zach Harmon and I met with composer Shirish Korde in Massachusetts to rehearse his Svara-Yantra Concerto for Violin, Tabla and Symphony Orchestra. We'll be performing this fantastic piece with the Fox Valley Symphony. I'm very excited to perform Svara-Yantra. It's an intense and absolutely amazing work, and I'm really looking forward to collaborating with Brian Groner. I'm also thrilled to work with tabla player Zach Harmon, who is a Wisconsin native. Zach studied in the Masters program at the Thelonious Monk Institute of Jazz, and studied tabla with Abhiman Kaushal. He performs, records, and teaches around the world. Zach and I are both faculty artists at the Red Lodge Music Festival in Montana each summer, and I have known his father, composer and jazz pianist John Harmon, for many years. I have premiered a number of John's works at that festival. Earlier this fall I made arrangements for Zach and I to rehearse the concerto with Shirish at his studio in Worcester, MA. Finding a few days that all of us were available was a challenge, but we were able to carve out a meeting time. Boston is my old stomping grounds. It's where I earned a graduate degree from the New England Conservatory. On November 1 I flew to Boston and stayed with my brother and his family in nearby Westborough. Zach drove down from his home in Shelburne, VT. My brother and his family are avid musicians, although they pursue other fields for their livelihood. They loved hearing us work through the complex piece at their house! Shirish is an incredible composer, a wonderful musician, and a genuinely nice man. He helped clarify musical questions we had and worked with us on our interpretation and preparation of his piece. Zach and I can't wait to rehearse and perform this concerto with the FVSO! Thanks, Marcia! We can't wait to share the stage with you this weekend! Every now and then, we get a letter in the mail that makes us smile. I just had to share this one! Love it! We could not carry a note if it possessed the proverbial handle on its back. We have never been exposed to symphonic music, until my suddenly out-of-town boss gave us his tickets to a FVS performance about 15 years ago. Quite frankly we were surprised we enjoyed it. I believe we felt the need to play The Grateful Dead extremely loud on the way home, just to be certain we were okay. We have been season ticket holders for about a decade now and have learned not to be the first ones to applaud. We enjoy your humor and obvious connection with both the audience and the musicians. I have found tears rolling down my cheeks, and have seen my other half with tilted head and closed eyes trying to deceipher each instruments' contribution. The Celebrate Spring concert was truly one of our favorites. While Nazer Dzhuryn was amazing, Copland's Appalachian Spring Suite gave sound and substance to unspoken sorrow of loved ones gone, yet later providing hope of their legacy within those remaining. Ravel's Bolero was quite fascinating to hear unfold, growing in strength and depth along the way. While the music sheets you command will always be written in a foreign language to us, we appreciate you building a place which is warm and welcoming for all to experience this music. Austin Larson Returns to the Fox Valley! We don't always go over the top bragging about our fabulous guest artists, but this time, we really need to make an exception! This weekend, our guest artist is Austin Larson. He is a fine player and he's won many awards (see below), but, even better, he is one of our own! Austin is from right here in Neenah! And still better, Austin was a member of our own Youth Orchestra! We are all so delighted to have him come back home for our Opening Night concert this Saturday! Don Krause: Don is our favorite horn teacher in the area. Not sure how we got lucky enough to have him teaching our students, but we are certainly glad we can count him as a friend. We currently have six horns in the Youth Orchestra, and Don is coaching all of them! "Of all the students I ever had, Austin had the most focus and drive of any. A lot of students practice, but they either don't have focus or don't have the drive. Austin was always trying to improve his performances, even in his lesson assignments. He managed to memorize every solo that he played for solo ensemble year after year. Practice makes perfect was his constant motto! I have had him work with a lot of my students as he has become more successful and is always willing to take the time to help young students improve." Bruce Atwell: Bruce is our Principal Horn for the Fox Valley Symphony and also teaches at the University of Wisconsin - Oshkosh. He works with our board, staff and youth orchestra students to help make improvements across the board. "When Don first referred Austin to me as a freshman in high school, my first impression was that he was going to become a once in a generation horn player. His sense of musicianship was already well developed from years of playing the violin and his horn technique was solid and seemed effortless. This raw talent combined with an amazing work ethic pointed to a long and successful career as a musician. His attitude still amazes me. He is still so humble and grateful for all of the success he has achieved. He still calls or texts his former teachers to let us know how he is doing. I can't wait to see where he ends up." Lynn Lichte: Lynn was our program director for Youth Orchestra while Austin was a student. She was an amazing asset to the symphony and our Youth and Education program. She has since retired, but we miss her every day! "It was my great pleasure to know Austin Larson while I was the manager of the fox Valley Symphony Youth Orchestra program. He was not only a gifted young musician, but a true leader in the orchestra. This fine young man received the coveted Youth Symphony "Leadership Award" during his senior year and went on to win numerous honors and accolades both nationally and internationally as an amateur and now professional musician. I believe that I can speak for the entire Fox Valley Symphony Youth Orchestra program in saying that they are proud to claim Austin as one of the brightest and best of their alumni and are thrilled to see him return as the guest artist to open the new concert season!" We can't wait to have Austin on our stage again this Saturday! It is always a treat to work with talented guest artists, but when it is one of our own students who we've watched grow and succeed, it is a rare gift that we will all cherish! You can also read the full program notes on our website. Here is a copy of Austin's bio, so you can be as impressed as we are! Neenah native Austin Larson has gone on to become one of the most successful young hornists of his generation. A graduate of Neenah High School, Austin was a member of the Fox Valley Youth Symphony for five years and studied with current and former FVSO hornists Bruce Atwell and Donald Krause. 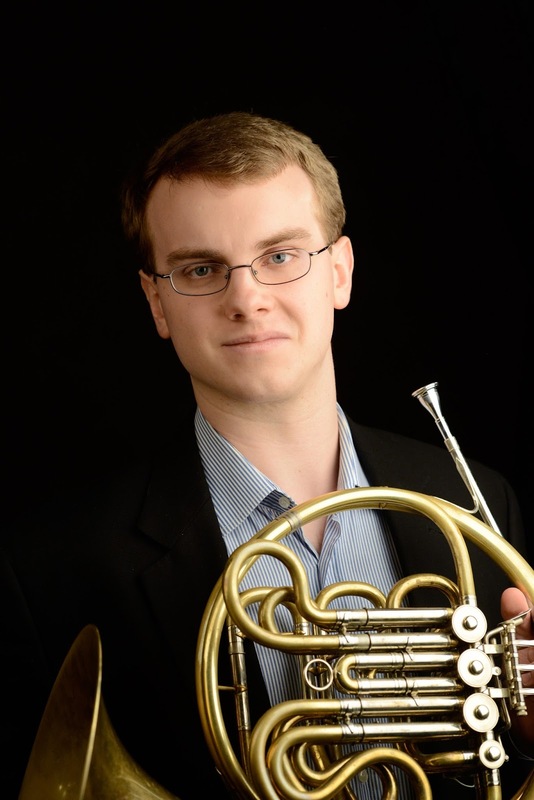 Austin has since developed one of the most impressive competitive track records of any hornist. Austin is one of only two people to ever win First Prize in both the University and Professional Divisions of the International Horn Competition of America and has also won First Place in the International Horn Society Premier Soloist Competition, the Yamaha Young Performing Artists Competition, and the Wisconsin Public Radio Young Artists Competition. On the international stage, Austin was also most recently a finalist in the Jeju International Brass Competition in South Korea. 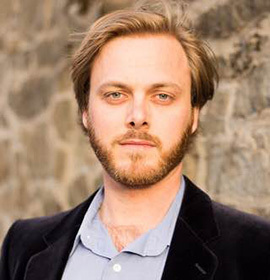 Austin has also appeared as a soloist at many prestigious venues, including the Music For All Symposium, International Horn Symposium, Jeju International Wind Ensemble Festival, Wisconsin Public Radio, and with orchestras in both the United States and South Korea. Currently living in Denver, Austin holds the Assistant Principal Horn position with the Colorado Symphony and has previously held the Second Horn position with Symphony in C in addition to summer positions with the Verbier Festival Orchestra in Switzerland and Spoleto Festival Orchestra USA. Austin holds degrees from the University of Cincinnati College-Conservatory of Music (CCM) and the Curtis Institute of Music and his primary collegiate teachers include Jennifer Montone, Jeffrey Lang, Randy Gardner. A strong believer in music advocacy, Austin has also been involved with numerous charitable organizations, including Appleton-based Horns a Plenty Christmas and has raised funds for music scholarships both at the University of Cincinnati and in the Northeast Wisconsin area. For more information, visit www.austin-larson.com. Welcome to our 49th Season! We are thrilled you are joining us for an exciting year of beautiful symphonic music. I joined the Board of Directors for the Fox Valley Symphony Orchestra [FVSO] several years ago. Music and the arts have always been an important part of my life. I took piano lessons for a decade as a child but the lessons gradually slipped from a priority in my life as I entered college and launched my career. Thanks to my engagement with the Symphony (including trying to play the violin in our first Sinfonia fundraiser), I've started playing the piano again. I'm not very good but it brings me great joy and serenity. As President of the Board, I'm excited to be working with our talented musicians, staff, sponsors and donors to further strengthen this community gem. The FVSO is experiencing tremendous momentum as we head into our 50th Anniversary in 2016. I'm very passionate about helping make the Symphony as accessible to the community as possible. We took a big step toward that goal this year by launching our Beer, Brats and Beethoven event in collaboration with the Timber Rattlers at Fox Cities Stadium. Thousands of people from our community heard the Symphony for free thanks to the tremendous support of area businesses and donors including the Neuroscience Group and Kimberly-Clark Corporation. This season marks the 10th Anniversary of our partnership with Thrivent Financialas our Symphony Series underwriter. Thrivent's commitment to the FVSO is a testament to their ongoing passion for the arts in our community. Not only has Thrivent committed significant funding to the Symphony, but they've also shared their time and talent with us as well. Please join me in thanking Thrivent Financial for their leadership. We couldn't do this without them! We are fortunate to have growing support from area businesses. We deeply appreciate the long-standing and continued support of The Boldt Company as our Lead Season Sponsor along with Community First Credit Union as our Community Partner Sponsor. This year's sponsors include JewelersMutual Insurance Company, NeuroscienceGroup, Secura Insurance, Plexus, Menasha Corporation Foundation, Associated Bank, Godfrey& Kahn, S.C., East Wisconsin Savings Bank, Alta Resourcesand Schenck SC. Thank you from the bottom of our hearts. 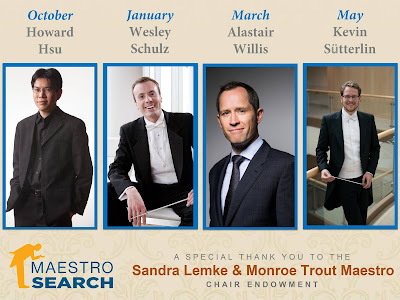 We are close to having all of our musicians supported through our Chair Sponsorship program. Please help us ensure that ALL chairs are sponsored now and for future seasons! There are many other ways you can support us, including making the FVSO a part of your planned giving. Last but definitely not least, a heartfelt thank you to our musicians. Without their awe-inspiring talent, we wouldn't be here today. As I've started to get to know our family of musicians, I quickly learned that many of them have been with us for over 20 years! The level of commitment and passion is palpable with every rehearsal and performance. It is because of you future generations are inspired to carry on this great tradition. Thank you for joining us for an experience that only an orchestra like ours can provide. It's truly a phenomenon everyone in our community should be able to experience. I look forward to working with you to help make the music live on for all to hear. As the Fox Valley Symphony prepares to entire its 49th season as a community orchestra, we've elected new board leaders. 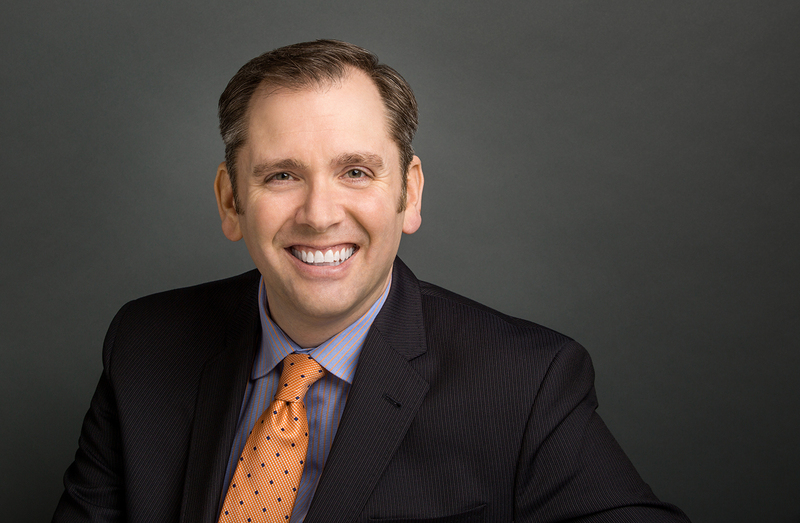 Our new President of the 17-member Board of Directors is Jeff Amstutz, Creative Director/Principal of A2Z Design. Addie Teeters, Marketing Communication & Media Relations Manager for Expera SpecialtySolutions, was named President Elect. Other Board Officers include Jane Chaganos, treasurer; Priscilla Daniels, secretary; and Peter Gianopolous, Immediate Past President. Jamie LaFreniere serves as Executive Director and Brian Groner is the Conductor and Music Director. "This is an exciting time for the Symphony." 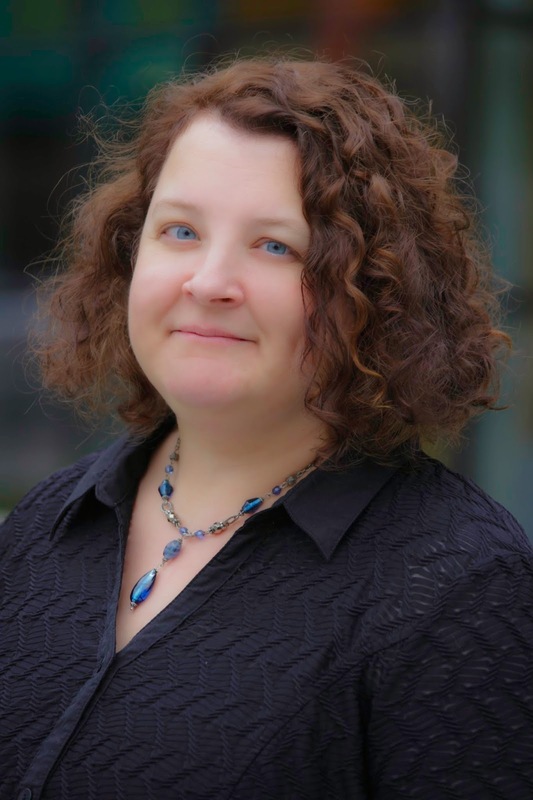 says Beth Flaherty, former board President for the Fox Valley Symphony and current President of the board for the Fox Cities Performing Arts Center. "The organization is focused on a sustainable future and our new leaders are energized and looking forward to preparing for a fantastic 50th anniversary season. They will continue the work the Symphony has done to ensure a strong future for live symphonic music in the Fox Valley with innovative programming and community involvement being a top priority." The Symphony's mission is to enrich and nurture the human spirit through symphonic music and educational opportunities that enhance the cultural development of our community. Founded in 1966, we are a non-profit providing the community with quality music, as well as performance and educational opportunities for area musicians. Our new season starts on October 3, 2015, at the Fox Cities Performing Arts Center. There is still time to get your Season Ticket Package, so you can lock in your seat and not miss a single night with us. Please visit our website for more information about our concerts, or call (920)730-3760 to order your tickets today! Now that we've wrapped up our year-end giving campaign, we just wanted to say THANK YOU! From the bottom of our basses to the top of our piccolos, we thank you! You attended concerts, sent donations, sponsored musician chairs, funded outreach activities, and supported youth orchestra programs - we are grateful for your investment in our mission through your generosity. The Fox Valley Symphony will honor your support by staying true to our mission to nurture the human spirit through symphonic music and educational opportunities that enhance the cultural development of our community. We will continue to be an integral part of the beautiful tapestry of arts groups that make the Fox Cities a wonderful place to live. This is my third year as conductor of the Philharmonia, and each year has offered its own unique combination of successes, challenges, and opportunities for the students to grow as an orchestra. When I first entered the position in late spring 2012, the students had already gone through their auditions and I hadn't met or heard them (beyond the ones who were there for my interview, many of whom were in the previous year's ensemble). I had to rely on Greg Austin's (Concert Orchestra conductor) experience listening to them try out, as well as his experience with the Philharmonia-level repertoire, to help me prepare for the early fall retreat and the first concert. Greg was, and continues to be, a tremendous resource of expertise and insight into the past performances of pieces in the FVSO library. By around the time the students were preparing for their spring "mini-tour," I was finally starting to feel like I knew what I was doing, more or less! I also knew from my years of teaching that I would soon have to start from scratch, listening to many new members auditioning in (or up, to Concert Orchestra). It was a bittersweet time, offering congratulations and well wishes for good auditions that, if successful, would mean that I would no longer be working with those students. For the second year, I wanted to build on what I saw as a successful first year while offering some different experiences, especially for students who had been in Philharmonia the year before. I tried to offer more solo opportunities, and watched students step up to leadership roles as they challenged themselves to learn these. I also programmed a piece by a living American composer (Magen Miller Frasier), and made the bold statement that the orchestra could do a "distance rehearsal" using software like Skype, even before I had tried to contact the composer! Thankfully, she was very generous with her time and praise of the students, and even requested permission to put their performance of her piece on her website. It was a great moment for the students to have a direct connection with the music-making process that I hope they always remember. As this year began with the auditions, I was stuck by two things: how the orchestra overall seemed a bit younger, and how incredibly violin-heavy it was! This presented a challenge selecting repertoire that I thought would complement the sounds and strengths of the other sections, while also being appropriately difficult and different from the previous years. For the first time, I chose pieces that feature guest percussionists, a role that has been graciously filled by members of the Youth Orchestra percussion section. I've also seen the smaller viola, cello, and bass sections rise to the occasion and play with a strong, confident sound that allows for better balance. On days when the orchestra has sectionals (three times for each concert cycle), I move from room to room to hear how everyone works together, and I have been continually impressed with the maturity and work ethic the students have shown. The coaches have expressed this much as well, and have appreciated how much is able to be accomplished. I feel like all the hard work and progress is helping make this first concert of the 2014-2015 season become even more polished and excellent-sounding than the past two years! One of the best things that I get to do as a professional cellist and teacher is to play with the Fox Valley Symphony's Artistic Adventures education program for elementary age children. Collaborating this year with the Trout Museum and the Fox Cities PAC was fantastic. To consider that a string quartet this fall played in 22 up-close performances for over 700 children total is astounding and incredibly meaningful. Experiencing live music can lead to deeper understanding, joy, and a rich emotional range that is beyond words. I am so privileged to work with other enthusiastic members of the Fox Valley Symphony in this educational outreach and in all of our symphonic concerts. Every year I cherish these rich times that bring for all of us, performers, students and our symphonic audience at the PAC alike, priceless experiences of community and deep connection. I have been the principal French horn of the Fox Valley Symphony since 1998. Over the course of those 16 years I have witnessed amazing artistic growth of the orchestra. 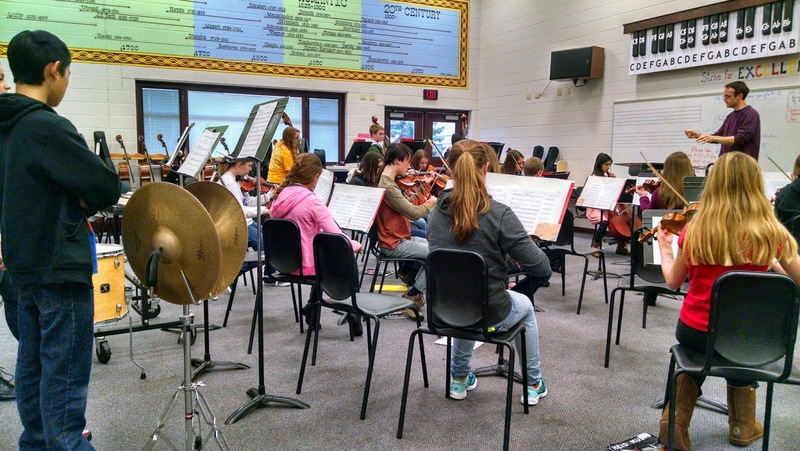 The Fox Valley now has one of the premier orchestras in the state, something to be very proud of as a community. The players come from all walks of life, many are full time professional musicians and many have day jobs but the commitment to music making and to preserving this beautiful art form is universal. This is more than a collection of musicians; it is a family that comes together to present the incredible repertoire of the symphony orchestra to the community. I have seen the response from the audience to our concerts-you can feel the pride and love that is transferred from musicians to audience and back-there really is nothing else like it. 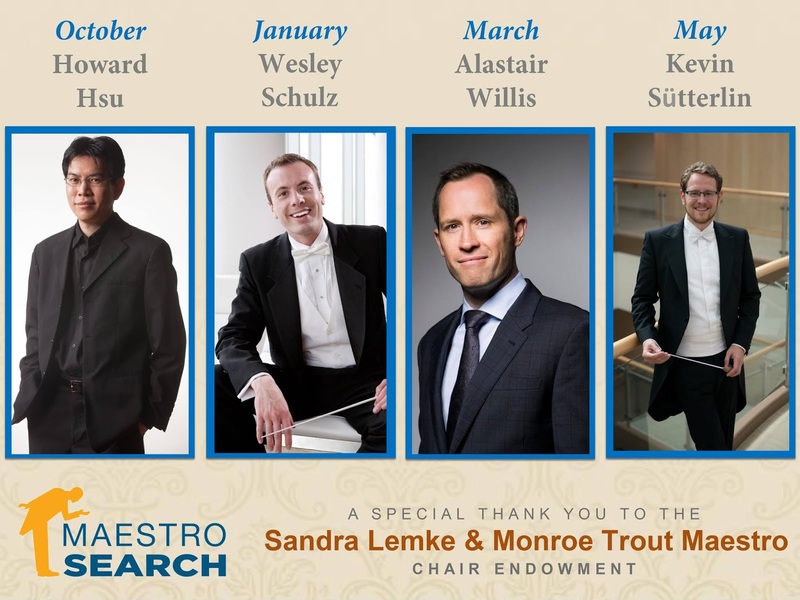 As the musician representative on the board of directors, I am particularly struck by the dedication of the board members who support and run this fine orchestra. I have been an orchestral musician for over 30 years and I have never seen a more committed, caring, and passionate board of directors and staff. The Fox Valley must protect and preserve this incredible asset. It should be a point of pride for everyone who lives here. When a community cares about art it creates a wonderful place to live and work. Fox Valley Symphony is extremely fortunate to own one of the best sets of Timpani in the world, manufactured by Adams in Holland, and distributed here in the United States by Pearl Drum Co. They are known as the 'Cloyd Duff' model, named after the world-famous Timpanist of the Cleveland Orchestra, Cloyd Duff. I was fortunate to have studied with him in master classes. He is one of the greatest players ever. Our set of five currently have a value of $40,000. They are some of the finest Timpani I have ever performed on, period. Years ago, I was fortunate to have worked with our Executive Director during Fox Valley Symphony's transition from performing at Lawrence University to our current home, the Fox Cities Performing Arts Center. 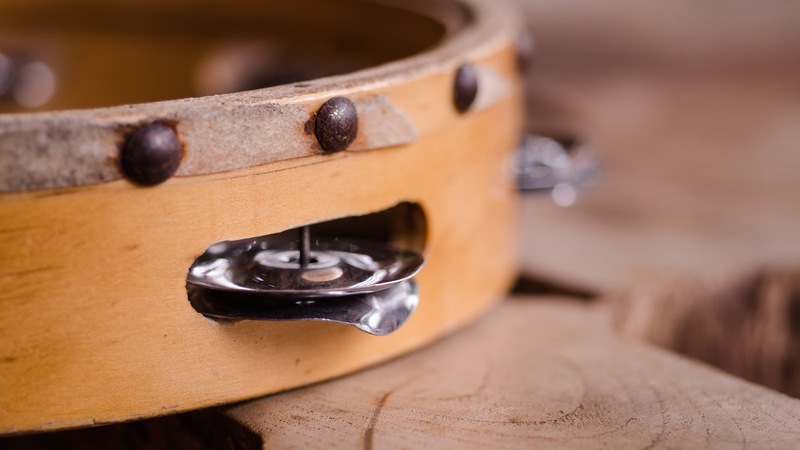 At the time, I was asked to put together a "wish list" of all percussion instruments, being mindful of both quality, tonal excellence, and budget. This was for all equipment, as back then, when at Lawrence, the FVS did not own any of its own percussion equipment. So it was a pretty big deal to get it right. This initial list did not have the Adams Timpani included; as I never thought it could possibly materialize due to the cost. Paul Heid, owner of Heid Music, called me the very next day. The symphony was working with Heid Music to order the equipment, getting the mission-critical equipment ordered first so we could start our season at the PAC. He told me he saw the list and then asked, "As Timpanist, what would be your dream set of Timpani?" I remember it like it was yesterday. I told him "The Adams Cloyd Duff Timpani, of course." I said, "What do you mean, done??" He said he would figure out a way for this to happen...and he did. He worked his magic, as he was also President of NAMM at the time. He went above and beyond, ordered up these same Timpani, showcased them at NAMM, then brought them back to Appleton. He gave me a call and said, "Hey Paul, your drums are in. Come on down to the store and check them out!" I walked in the store, in the back storage room where he had them placed, removed the cover of one, saw they were the real deal and started crying. I just could not believe how someone out of the goodness of their heart, could go above and beyond in such a way. It was one of the most beautiful moments of my life - and hence why I care for these drums they way I do. I will always remember what he did for us, and will be indebted with gratitude to him forever. It was magic. The Fox Valley Symphony Orchestra kicked off its 48th concert season with a fascinating program of challenging music. This concert also marked the beginning of Maestro Brian Groner's 20th year as conductor. Opening the program was a spirited performance of Johann Strauss, Jr.'s delightful "Overture to Die Fledermaus." The overture is filled with an assortment of tunes that audiences have come to associate with the composer. Attention was quickly turned to the feature work of the first half, "Piano Concerto No. 3 in C Major" by Sergei Prokofiev, featuring guest artist Claire Huangci. The youthful Huangci wowed the audience with her seemingly effortless mastery of Prokofiev's massive and demanding opus. The first movement opens with a simply stated yet tuneful solo by the clarinet, played eloquently by principal clarinetist David Bell. This tune quickly gives way to the strings, but the melodic serenity is suddenly ended with the arrival of the allegro section in the strings and the first entry of the solo piano. It was at this point the Ms. Huangci clearly let her presence be known. Be it brilliant scalar passages or bursts of rhythmic energy, Huangci's clarity of line was always at the forefront. In addition, she has the ability to skillfully execute the intricate weavings of the piano line within Prokofiev's constantly shifting density of orchestral structure. Two things stood out: her precise touch at the keyboard and expert blending of dynamics, a wonderful fusion of technique and artistry. The second movement is a set of variations, which opens with the orchestra playing the main theme, a curiously witty melody first heard in the winds. The variations feature the solo piano. It is here where Prokofiev deviates from the gavotte feeling of the theme. Huangci undoubtedly had a clear understanding of the personality of each variation and showed it in her playing, be it the gossamer trill and glissando that opens the first variation, the rapid scalar runs up and down the keyboard in the second, the wildly syncopated and angular gestures of the third, the beautiful free dialogue between piano and orchestra in the fourth or the frenetic pacing of the final. All these personalities were distinctly executed at the keyboard, making the movement all the more exciting. The quiet ending of the second movement merges attaca to the finale, Allegro, ma non troppo. Groner's opening tempo was quite deliberate, adhering closely to the "but not too much" advice of the tempo marking. Unquestionably, this is the true virtuoso movement of the concerto, with multiple climaxes and a brilliant ending. It was also here where Ms. Huangci demonstrated her technical skills to the fullest. The coda is a musical confrontation between the orchestra and soloist, with both vying for compositional importance. Huangci's energy and concentration allowed her to handle the complex ornamentation, arpeggios, glissandos and other flourishes while cutting through the massive orchestra. Four lively chords scored for piano and orchestra together bring the concerto to a dramatic close. Beethoven's "Symphony No. 3 in E-flat Major (Eroica)" comprised the second half of the evening's program. As we've become accustomed to appreciate over the years, Groner's vision and execution of this masterwork was complete, thought-provoking, and most of all, musical. The opening of this symphony never ceases to put a smile on my face, two marked E-flat major chords, and a gloriously simple arpeggiation of the tonic triad ... so simple, so lyrical, so Beethoven. Groner's tempo choice unquestionably played into the heartfelt interpretation of the opening movement. Within the orchestra, the balance of the strings was particularly notable. The haunting, well-known funeral march theme of the second movement, Adagio assai, is first heard played by the cellos and then given to the solo oboe, played beautifully by principal oboist Jennifer Hodges-Bryan. Also present in this movement was the use of fugue-like passages in the middle section. Groner's ideal choices of tempos and dynamics made the performance of this movement contributed to its success. The third movement is an animated scherzo, filled with rhythmic energy, and a glorious passage of hunting calls heard in the horn section. The orchestra, and especially the horns, played expressively, paying careful attention to each of Groner's gestures from the podium. The finale, Allegro molto, offered another set of variations for the evening. The movement itself is quite grandiose, and shows the direction Beethoven is moving regarding importance of the symphonic finale. Again, Groner was at his best with his conducting, just the right tempo, energy, and clear identity to each of the thematic variations. All of these elements led to the orchestra's rendering a meaningfully expressive performance of Beethoven's masterwork. Welcome to Our 2014-15 Season! 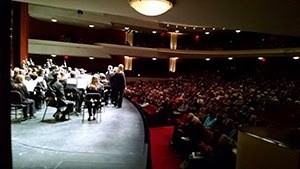 Thank you so much for being part of the Fox Valley Symphony's thrilling 2014-2015 season. From the first notes on opening night (the sparkling and energetic Overture to Die Fledermaus by Johann Strauss) to the last notes of the finale (brought to you by Liszt's epic tone poem Les Preludes) there will be music that inspires you. Our orchestra is an amazing group of interesting, creative and talented people. 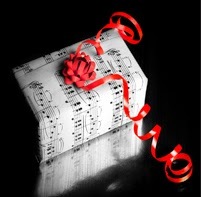 I hope that you find a chance to speak with some of the musicians of the FVS over the course of the season. Each player brings something special to the sound; each player brings you their very best on every concert. They serve both the art of music and our audience admirably. As I begin my tenure as president of the Board of Directors of the Fox Valley Symphony, I am very excited about this year's concert season and am grateful for the opportunity to help bring this wonderful gift, our symphony, to you. It is my belief that art and music are some of the sweetest fruits in life. They touch our soul, inspire us, and bring richness to life. In the Fox Valley, we enjoy and celebrate a rich tradition of art and music, and our symphony is one of the biggest reasons why. From our schools and universities to the performing arts, the symphony is weaved into the fabric of our way of life. Our symphony and its talented musicians work with many other organizations, businesses, and people. By supporting and cultivating local musicians and artists in our community, we are not only enhancing our own lives but the lives of our family and friends for generations to come. The Fox Valley Symphony is dedicated to bringing education, art, and music to this community, to the next generation, and to you, our symphony family. We are planning many new social, educational, and fun events this year and hope to see you there. Our symphony family includes you, and we are very thankful for your patronage and financial support. For without it, we would not be able to touch the lives of so many. technical crew plans each detail before opening night. Volunteers and staff work together to ensure everything is in place before the first note hits. We've been given this incredible opportunity, and it is always met with sincere gratitude. We are thankful for our sponsors and donors who make our season possible. We are thankful for our board members who help plan and implement our mission. We are thankful to the teachers working with music students in our community to engage future generations of artists and patrons. And we are thankful for you, who attend each concert and show your support with applause year after year as we work toward our 50th Anniversary. Carl Orff's Carmina Burana has become a classic for musicians and audiences because of its percussive music, hypnotic melodies, lilting passages and all-out, robust orchestration. On Saturday, May 3, more than 200 regional musicians will collaborate to present this classical masterwork in live performance at the Fox Cities PAC. The rowdy subject matter is set to some of the most beautiful melodies in classical musical literature. The Carmina were songs of medieval traveling students and ex-monks who left universities and monasteries to pursue a roaring life of gambling, drinking and making love. The texts of the songs were discovered in a Bavarian monastery near Munich in the early 20th-century and are a mixture of 13th-century Latin and "low" German. The songs in the Carmina cover a range of topics, as familiar then as they are today: the fickleness of fortune and wealth, the ephemeral nature of life, the joy of the return of Spring, and the pleasures and perils of drinking, gluttony, gambling and lust. The performance culminates the Fox Valley Symphony's 47th season and is a favorite of Music Director Brian Groner. "There is something wonderfully primal about the text and the music of Carmina Burana," Groner said. "When it speaks of power it is bold and over the top aggressive; when it talks of love it is either bawdy or exquisitely tender." According to newVoices Artistic Director, Phillip Swan, the masterwork is a welcome collaboration with the symphony. "Choral/orchestral collaborations provide a cross-pollination of musical interests," Swan said. "Consequently, it's good for the community to have arts organizations working together to put on quality productions." For singers & instrumentalists alike, Carmina Burana is a musical challenge because of the range of emotions needed to interpret the composer's music. One movement requires repetitive, full-voiced singing and playing while the next movement requires a gentle, lyrical approach. "It takes an unusual amount of concentration to maintain the rhythmic intensity Orff demands in the score, and because it is repetitive it can be physically challenging," Groner said. "It's a big sing," Swan said. "The melodies are present an extreme of emotional singing requiring consistent vocal technique as well as artistic interpretation." Singers in the Lawrence Academy of Music Capriccio Girl Choir in grades 5-7 are excited for the opportunity to sing with a full orchestra, professional soloists (one of whom is a girl choir alumna), and an adult choir. "The girls are learning to listen to how their part fits into the other vocal and symphonic parts," said Director of the Lawrence Academy of Music, Karen Bruno. "Singing with an orchestra allows them the opportunity to hear different timbres with their 'accompaniment.' The girls are used to hearing only the piano, with occasionally one other string or wind instrument, while they sing." For the Hodges family, the performance will be a reunion. Father Mike Hodges is a founding member of newVoices where he sings with his son, Jeremy. Daughter Jennifer Hodges Bryan is an oboist with the symphony and brother Jonathan is a cellist. The family shares a long history of music and fostering musical development. "We gave our kids outlets for enjoying music," Mike Hodges said. "They all started in violin and in time gravitated toward their own choice of instrument," he said. His wife, Donna, drove the kids to lessons at the Lawrence Academy of Music and checked their practice progress. Jeremy Hodges says the opportunity to perform together is a normal part of a musical family. "But in the end it does have a special personal meaning: the people I care most about are with me and sharing the fun," he said. His father agrees. "I get such enjoyment from performing and to be able to have them on stage with me doubles the enjoyment. There is a sense of pride in watching their accomplishments," Mike Hodges said. Jonathan Hodges says the different roles family members play allows for unique perspectives. "I am more toward the front of the stage, Jennifer is in the middle, my father and Jeremy are toward the back and my mother is out in the audience. Every spot does sound quite different and can expose different aspects of the performance," he said. Family members are continuing the tradition as Jennifer Hodges Bryan has her three daughters enrolled in music lessons. "Having them learn an instrument and involved in music is something that I really wanted for them because I think there are several benefits to a child's development when they are involved in music," she said. Both conductors urge area residents to experience the work live, rather than listening to recordings. "You can't reproduce the sound of 200 musicians live by putting it in a little speaker and expect it to sound the same. Hearing this music live is worth unplugging," Swan said. "Some of the greatest pieces of western civilization's art music combine the forces of chorus and orchestra," Groner said. "There is a power in them that is greater than each standing alone." Carl Orff's Carmina Burana is an enduring audience favorite, and one of the most recognizable pieces of music ever written for orchestra, chorus and soloists. As part of our upcoming Cory Chisel concert, we are proud to be working with the Fox Cities P.A.C. and local high school students to bring another Compassion Project event to our community. "The Art of Compassion" is a silent auction of student art, inspired by the works of local non-profit organizations with all proceeds to be give to those organizations. Students chose to work with NAMI, ARC of the Fox Valley, Harbor House and the Fox Cities Emergency Shelter. Art Student Sarah Ellisen at work on her project. The students have been working hard on their projects, and there are over 120 pieces to bid on in the auction. We are so fortunate to have such a large group of dedicated students and teachers working on behalf of these organizations. Chip Noffke, Visual Arts teacher at Appleton East, was kind enough to share his experience with us. "As an AASD Fine Arts Teacher, I was excited and honored be part of this great opportunity. Visually listening to our youth is something I do on a daily basis, yet I am still amazed when I see the range of results and compassion that so easily pours from our students. It is my hope that as you enjoy the answers to this rich question, your hearts and eyes will also be opened to see the possibilities and fullness of our all futures through our young artists' eyes and these four noteworthy organizations. "In continuation with our last community wide event, Fox Valley youth artists share how "The Fine Arts" continue to be one of the strongest and most diverse communication tools. Students have once again easily opened our emotional doors and bridged the connections between community, education and humanity through their art which focus on local organizations and the compassion they provide for the Fox Valley. "NAMI, ARC of the Fox Valley, Harbor House and the Fox Cities Emergency Shelter are four groups that have various roles in our K-12 systems, though often over looked how. Our students had the opportunity to explore the ways in which each organization played a role in helping all ages, genders, and families succeed in coping and overcoming life's left turns. One common point that had a significant connection with students is that we all knew of somebody that has worked with one of these organizations on some level. This offered great inspiration for the artists. "The artists involved were asked to share their interpretation of what compassion looks like for one of the organizations or how their art could offer compassion for somebody working with one of the four organizations. Artists then used their gifts and talents to visually express their feelings, thoughts, and ideas about each group to bring awareness and support to these service organizations right here in the Fox Valley with amazing results. Each original art work reflects their unique answers." Please join us for this special event at the Fox Cities Performing Arts Center on Saturday, March 15 at 7:30pm. You can purchase tickets to the concert on our website. Doors open at 6:30, so come early to see and bid on the art! We are proud to partner with Appleton's Compassion Project for their second event here in the Fox Valley, the Art of Compassion. At our March 15 Cory Chisel concert, we will be opening K.C. Theater at the Fox Cities Performing Arts Center as our art gallery. Before the concert and at intermission, our audience can view works of art from our local high schools and bid on them in a silent auction. Each piece is inspired by one of our local charities, and the money raised from the auction of each piece will be donated to that specific charity. It is an amazing way for our students to dedicate their time time and art to a charity that is meaningful to them. 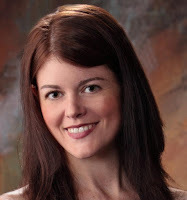 St. Francis Xavier High School student Bridget Flaherty is our coordinator for this project, and we are also lucky to have her as part of our Fox Valley Symphony Youth Orchestra. For the Art of Compassion project, Bridget will be working with the artists and helping to set up the silent auction at the Fox Cities Performing Arts Center. "Having the opportunity to work on a project like the Compassion project not only inspires me but also proves to me that there is hope for my generation," says Flaherty. 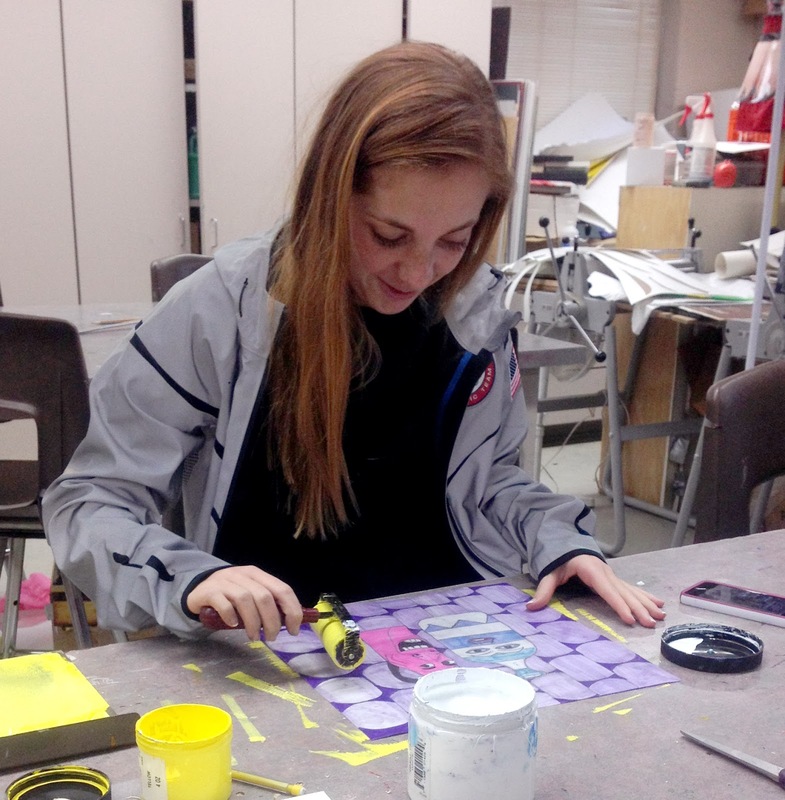 "When deciding what I wanted to work on for my required Junior Service Project at Xavier High School, I knew I wanted to choose something regarding the arts. Music and the arts have been an enormous part of my life since I was young through violin and piano lessons, participation in the Fox Valley Youth Symphonies, and participating in choir and art classes at school. When my mother, Beth Flaherty, suggested the Compassion Project I knew it was the perfect fit. Now that I have a deeper understanding of the purpose of the project and the involvement I have an even greater appreciation for the wonderful thing the project does. "I believe the most important aspect of the project is the unification of the Appleton schools through the value of compassion. All the students participating have different perspectives on what compassion means to them, and after reading all 120 of the artist statements, my definition of compassion has broadened. Every piece of artwork is worth more than any amount of money could buy it for because of the thought and hard work put into it by the student artists. "This exhibit will not only inspire you, but it will encourage you to step back and ask yourself what compassion means to you, and do your best to live your life with those values." Of course we are excited about our upcoming concert with Cory Chisel and the Wandering Sons on March 15. And one of the things making this concert even more special for us is that one of our own musicians, cellist Heather Anderson, is arranging the music for the symphony and Cory! Heather Anderson working with our Philharmonia students. "Composing is a funny process for me. Or maybe what I experience is pretty typical. I don't know. For all the analyzing I do - keys, time signatures, form, etc. - none of it matters much in the end. No amount of analyzing and planning can create the synergy of notes working together to create something that elicits an emotional response from the musicians and audience. That takes a bit of luck, some artistry and a group that can embrace and interpret a song with zeal. The more I think about a song and analyze it the harder it is for me to actually "put pen to paper" (or in this case mouse to Finale software) and find the motivation to actually begin writing a song. It can be very scary to stare at a screen with blank staffs and not be sure which part of that giant elephant to begin eating first. It can cause anxiety and frustration. "Blank canvases, journals or music staffs are scary to look at. Insecurities don't help. A lot of us are afraid to fail, but just as big of an inhibitor is being afraid to succeed. If I dwell on either too much, the muse flees and I can't write anything. So, where to start? As a cellist I almost always start with the bass line. I'll listen over and over. I'll hum it. Then I'll transcribe it out for our bass section. Then I listen to the melody and start to transcribe it, putting it anywhere to begin with, usually into the violins just to have it be somewhere at first. But those are still just planning and analyzing. Those don't reflect energy, style, or the soul of a piece. Often I get stuck at this point because I am still only using my left brain, still analyzing. "Maestro Groner said something to the symphony in a rehearsal once, perhaps 5 or 6 years ago, that has really stayed with me. We were playing a modern 20th century piece that very few of the orchestra members cared for. He could sense this and he stopped us. In a calm, quiet voice he said something along these lines. "Look, if we don't believe in this piece, how will the audience ever believe in it or enjoy it? Here's the rub: You don't know what you like; you like what you know. People gravitate towards the familiar." So, we all were charged with listening to that particular piece often at home as a part of the concert preparation process. This has changed how I approach a lot of music, familiar and new, those that I like and songs I dislike. So, when arranging one of Cory's songs I listen to it A LOT. Enough that I dream about it. Enough that I know the chord changes and melodic variations from one verse to the next by heart. I'll get fixated on a piece for a week and sing it in the car, at work, in the shower. I may be a Cory Chisel expert by the end of this composing project! This week my idee fixe is "Born Again." Next it'll be "Mockingbird" since I'm starting that one tomorrow. "At some point during my listening the magic happens. Ideas just start to pop into my head, unbidden. I didn't plan to put that melody in the trumpets, but that's what's in my head and, wow, it sounds pretty darn good there! Harmonies unfold, interesting little timbres pop out in my imagination where, for example, chimes in the percussion section would really accentuate a spot and create a little bubble of excitement. Often I'm surprised at what my imagination present to me. Sometimes I'll hear whole sections played, finished in my mind and have to write it down very quickly to remember what I "heard." But it all starts with a lot of listening to Cory's CD's and really coming to know the song. And it takes relaxing my mind and being open to the muse, if you will. And when a song is completed I'll routinely listen and ask myself "how did I do that?" The answer is: Relax, listen, and create. "I am thrilled Cory will get to hear his music interpreted with an entire symphony orchestra - something usually reserved for huge names like Sting or Metallica. I am both excited for my peers to play my notes, my work, my interpretations of Cory's tunes and I am equally terrified. Cory, Maestro Groner and my peers have high expectations because they are all professional musicians and expect a professional level product from me. And most have never played anything of mine before. While I have premiered a piece with a few Illinois orchestras in the last few years, most of my peers never even knew I wrote music until they saw my name in the January concert program! I know that, even if I have some typos for less familiar instruments to me, the other musicians will celebrate the occasion with me and give me excellent constructive feedback so I can improve. Already I have had numerous offers from my peers to look at parts and help me understand their instruments better; they want me to succeed. This is greatly comforting and buoys my energy. I'm so excited to share Cory's and my music with them and the audience and have the chance to both compose and play something with my own symphony orchestra, my home team. This is truly a rare opportunity and I feel blessed to have been trusted with this task by Brian Groner." January Reveiw: 2014 Off to a Great Start! We had a great first concert of 2014! "Cold weather didn't keep devotees of the Fox Valley Symphony Orchestra away from their subscription concert, "Celebrating Women Composers," on Saturday night. The music selected formed a rather eclectic program, spanning a wide range of musical history and varying styles. The concert opened with a rendering of a 2008 composition by the American conductor/composer Diane Wittry, titled "Mists." Scored for full orchestra, the piece featured numerous contrasting colors and emotions, from its dark opening, to its brass-laden climax. While there were occasional moments of musical interest, in all, I found the piece to be rather lackluster, and deficient in continuity. 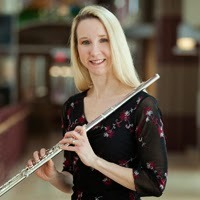 The orchestra's principal flutist, Linda Nielsen Korducki, was featured soloist for the Concertino for Flute and Orchestra in D major, by Cecile Chaminade. From its familiar opening melody, and through the technically advanced passages, Korducki demonstrated her complete understanding of the music. She possesses a lovely tone, with great strength in the low register, and balance throughout the flute's entire range. Her articulation was precise as were the rapid scales featured in the concertino's middle section. A rich fullness was present in the orchestral accompaniment; a nice balance, supporting, but never overriding the prominent role of the flute. It was an absolute joy to hear this time-honored work so beautifully played by an accomplished professional. The crowning glory of the evening, however, had to be the performance of the "Gaelic Symphony" by Amy Beach. This 40-plus minute composition in four movements can truly be recognized as one of the great symphonies in American musical history. The orchestra played at its best while closely adhering to conductor Brian Groner's expert direction. The color, harmony, thematic elements and sheer genius of orchestration technique put this work in a class by itself. The opening movement, Allegro con fuoco, was filled with grand and heroic musical gestures. From the beginning, Beach was able to show her familiarity with orchestration and color, while reducing the full orchestra to many clearly defined solo passages. In the case of the first movement, these were primarily found in the principal horn and clarinet parts, expertly played by Bruce Atwell, principal horn, and Christopher Zello, principal clarinet. This idea of "featured" solos continues into the second movement, Alla Siciliana; Allegro vivace, in three part form, alternating from the lilt of the siciliano which emphasized the winds, to a sprightly middle section calling attention to the strings. The third movement, Lento con molto espressione, with the emphasis on expressive. The highlight of this movement was an extended violin solo played beautifully by concertmaster Yuliya Smead. This solo concludes while being joined in duet with the principal cello, again, well played by Laura Kenney Henckel. I can't help but feel that the word "gorgeous" best describes this movement. The finale, Allegro di molto, was filled with motion and rhythmic energy. It is in this movement where Groner's direction came to the fore. His tempos were exhilarating, and his attention to detail brought out the very best that the score had to offer. It was evident that the orchestra was feeling the excitement of playing this glorious symphony." This Saturday, January 25, we start our performance year by celebrating women composers. You will hear pieces from Diane Wittry, Cecile Chaminade and Amy Beach. Music history, in much the same way as history in general, has tended to neglect the contributions of women. Think for a moment about Mozart's elder sister "Nannerl", who was often thought of as having an even greater gift than her brother. When she reached what was thought of as a "marriageable age" she was no longer allowed to perform. Another example would be that of Fanny Mendelssohn, the sister of Felix Mendelssohn. Their music teacher Carl Zelter found Fanny to be the more gifted of the two but today when we say the name Mendelssohn in musical circles we make the assumption that we are referring to the younger Felix. And so, we are presenting a concert of music written by women to raise awareness of the fact that talent is not based on gender. The Chaminade is a staple of the flute literature. It is that wonderful combination of demanding for the performer, and wonderfully attractive for the listener. 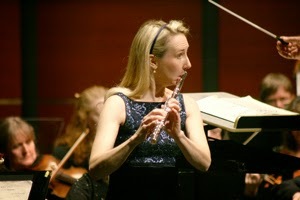 Our own principal flute, Linda Nielsen Korducki will be our soloist for the piece! The Gaelic Symphony of the American composer Amy Beach (Mrs. H.H.A. Beach) is beautifully written, quite late German Romantic in style and is a testament to her intellect and persistence. Her story is an interesting one. She was a true child prodigy, singing and composing before the age at which most children can speak. She had a career as a concert pianist, but was not "allowed" to continue performing when she married but was "allowed" one concert of her own compositions per year. She is known as the first American female composer of large scale compositions. The concert is at 7:30pm at the Fox Cities Performing Arts Center in Appleton, Wisconsin. Join us for a pre-concert talk at 6:40pm and a post-concert party in the lobby!